In 1991, the Scottish developer DMA design, which would later change its name and go on to create the notorious Grand Theft Auto series, released a software title on the Amiga that would create a whole new dimension of puzzle game. 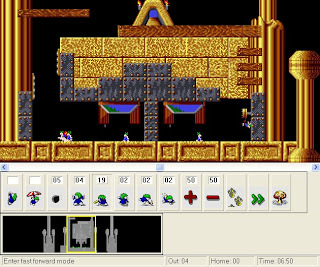 Lemmings came about almost by accident, or so the story goes: the staff of DMA design was working on creating little men to be victims of the title character of another title in development, Walker. The challenge in development was to animate a character using only an 8 x 8 square. When the rather violent demonstration was completed, someone noticed that there could be a game in the hapless little creatures. Thus, lemmings were born. Mindlessly following the landscape in front of them, the adorable little green-haired lemmings enter a stage in droves, and it is the player's task to make the little guys reach the exit. To get there, lemmings can be assigned one of eight tasks: Climber, Floater, Bomber, Blocker, Builder, Basher, Miner, and Digger. Some of these allow a single lemming to traverse an obstacle, others allow lemmings to redirect one another, others allow lemmings to build bridges or dig holes, and still others cause them to self-destruct. The violent spirit of the original demo lives on not only in the lemming's tendency to explode, but also in the myriad of ways that they can get themselves killed between the entrance and exit. Traps, falls, holes, and water are just a few of the things that can cause the lemming population to plummet. Lemmings made a huge splash on the Amiga and PC, but the game stayed largely under my radar until March of 1992, when Sunsoft's SNES version of the game was featured in Nintendo Power magazine. I remember reading the review over and over again, particularly because the pictures were so cute. Lemmings showed up again in Volume 37, this time earning a place on the cover in honor of the NES release. The puzzling title looked interesting, but while I read the reviews several times, I hardly expected to actually play it..
That changed, however, when I went to a new middle school in 1993. The school was just in the process of upgrading from a pair of old Apple IIc machines, and got a few brain-intensive titles on its new Macintosh computers. Among these were Lemmings and its expansion, Oh No! More Lemmings. Within days, the entire school was hooked. Students would crowd around the machines at recess as kids struggled to find solutions to the various levels. For abstract thinking and problem-solving, the game couldn't be beat. What's more, the characters were cute and lovable, and the cardboard box of the game got passed around from student to student as the kids spent time looking at everything that was going on. The music, too, was catching. There were a few unique melodies, but many more were borrowed from folk songs and classical music, such as She'll be Comin' Round the Mountain, London Bridge is Falling Down and Orpheus in the Underworld. I know a lot of people who, even today, hear one of those pieces and say, "That just reminds me of Lemmings." Poor Offenbach. Furthermore, as Sonic The Hedgehog 3 had done for the echidna, Lemmings had students wondering just what, exactly, a lemming was. Having been assigned to teach a student workshop to students in lower grades, I knew an opportunity when I saw one. I researched the little arctic rodents, created a few activities, and announced that my workshop would be on lemmings. The class was booked solid in days. Around the same time, we received Lemmings from a neighbor and close friend. The little disk, however, proved to be temperamental, and I never got it to work on my DOS computer. The manual, however, with its colorful comic, became a treasure. One of the students in my grade at the time, who remains a close friend today, often invited me to spend time at his house. When we would get together, he would sometimes rent an Super Nintendo game from the local video store, and we would play it together. 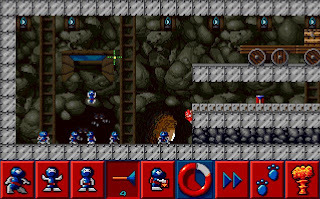 His decision to rent Lemmings one day gave me my first chance to try the game's hectic 2-player mode, in which players compete to direct the little lemmings to their own exits. The game can quickly devolve into a lemming massacre as each player tries to sabotage his opponent. The 2-player mode was sadly missing from the IBM-compatible version of the game, but it was great fun. In the end, however, I played little of the original Lemmings while I was in middle school. Where my attention was devoted was to the sequel. When I was a sixth-grader for the second time, I quickly befriended a student who was in the same grade as I. We played a number of games together, and he introduced me to many that I had never seen before. 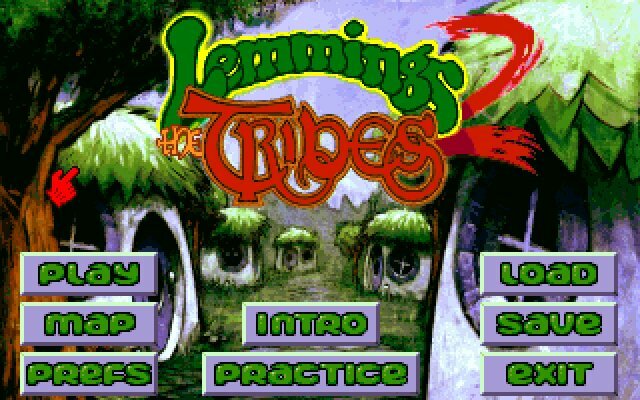 One of the best of thse was Lemmings 2: The Tribes. 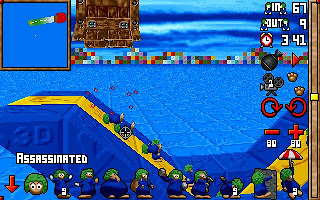 Lemmings 2 took the original Lemmings formula and greatly expanded it. The goal was still to guide the little lemmings from Point A to Point B, but instead of 8 skills, there were now a whopping 61 (though only 8 were available on any given level). There were still digging and building skills, but there were new skills like running, jumping, and firing a bazooka. The mouse cursor became more important, too. 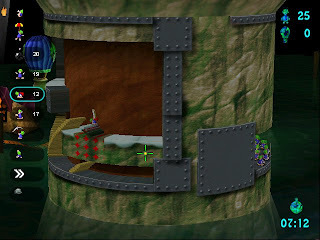 Certain skills, such as the flying SuperLem or the grappling-hook-firing roper, would aim for the cursor, while a new button allowed the cursor to turn into a fan and blow around certain wind-related lemmings, such as the twister and a lemming wearing Icarus wings. The world of the lemmings, known as Lemming Island, now had twelve tribes, whose differences were purely cosmetic. There were the original Classic lemmings, the Medieval lemmings, the prehistoric Cave lemmings, the Egyptian lemmings, the Sports lemmings, the Outdoor lemmings, the Space lemmings, the blue-hued Polar lemmings, the ninja-like Shadow lemmings, the Circus lemmings, the tanned Beach Bum lemmings, and the red-haired Highland lemmings. Each tribe had its own theme music, which often followed the trend of the original game and borrowed its melodies from traditional sources. The Highland lemmings, for example, had The Bonnie Banks o' Loch Lomond, while the Polar lemmings had a medley of Frosty the Snowman and Rudolph the Red-Nosed Reindeer, and the Space lemmings had—what else—At the Beautiful Blue Danube. The story of the game was an endearing one in which the twelve tribes sought to bring together their pieces of a magical talisman, which could power a flying ark that would carry them from their doomed land. The story of the game was told in a richly illustrated storybook, appropriately entitled The Story of The 12 Tribes of Lemming Island ...or the Day Jimmy McLemming Wished He'd Stayed in Bed. After reading the storybook, I immediately went out to Kay Bee Toys and bought my own copy of the game, on 5.25" disks. Much to my dismay, I found no storybook inside my box: it appeared that the book was a limited-edition bonus. I had good friends, however: when I later bemoaned my not getting a storybook of my own, my friend generously offered me his. I feel bad that he gave me his only copy of the book, but I am extremely thankful. I love that book and have read it many times; I still own and read it today. 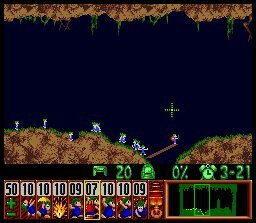 My friends quickly became enamored of Lemmings 2, mostly because of the myriad ways that the lemmings could meet with disaster. Playing the game with friends was difficult, however, mostly because only one person could control the mouse at a time. Even if you could plan a perfect route to the exit, success often required pixel-perfect timing, while failure would put great stretches of time to waste. Not the best for groups. I put some effort into playing the game on my own, too, of course, though I must admit that I had little success. I spent most of my time mucking around in practice mode, since finishing the actual stages with minimal casualties sorely taxed my patience. Time went on, and I soon lost the ability to use 5.25" disks. When that happened, I returned to the toy store and bought the game on 3.5" disks, though the advent of Windows 95 was soon to make Lemmings 2 all but impossible to play. 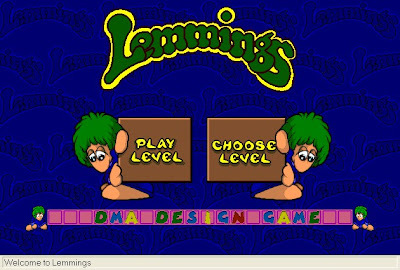 In the meantime, however, there was a third Lemmings game, Lemmings Chronicles (All New World of Lemmings in the UK), which landed on computers in 1994. This game I bought immediately. And loved. The game's graphics were much improved, with a more detailed close-up view of the action allowing much more expression on the part of the adorable lemmings. The music was excellent, though my old computer refused to play Redbook audio, and so it was quite some time before I got to know what just how good the music was. Furthermore, the gameplay was completely different from that of the previous two games. The Classic, Egyptian, and Shadow tribes were trying to establish themselves in their new home, and now individual lemmings had to collect tools from the landscape before they could be used. 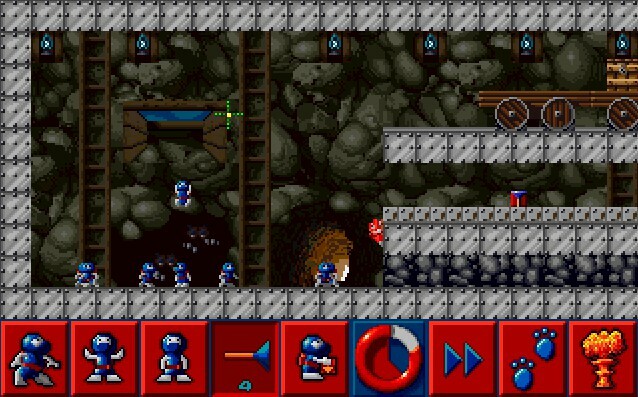 Bricks, shovels, bombs, grenades, parasols, suction cups, and life preservers all made appearances, and well as hadoken-like fireballs that existed to defend lemmings from the new threat of monsters. Individual lemmings were a bit brighter this time around, too, and could be instructed to block one another, jump, and even turn around. The inclusion of these skills allowed for a little finer control, as did the fact that lemmings now took actions when they walked into a given block, rather than at the very pixel at which they were commanded. Planning and multitasking, however, were still massive challenges. Overall, Lemmings Chronicles fit my playing style perfectly, and I played the game more than any other Lemmings title. I also bought the game's well-written strategy guide, which I used little for level-clearing advice and enjoyed mostly for the abundance of flavor text. 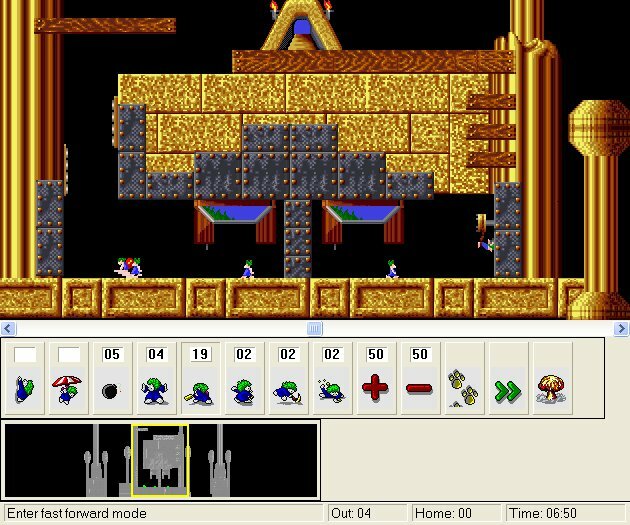 My friends also enjoyed watching and playing the game, as the slightly more forgiving timing and placement techniques made it easier for an observer to communicate an idea to the player, and for the player to execute that idea, then had been the case in the previous Lemmings games. The more detailed graphics were also a draw to group play. One of my friends became particularly enamored of one of the monsters, the Lemme Fatale, which would cause other lemmings to become lovestruck and haplessly follow it around until they gave up and killed themselves. The Lemmings series certainly had an odd sense of humor. Still, that was part of the series's charm, and I loved it. I played the game nearly to completion. When I had only a few levels left in each tribe, however, we got a new computer. Lemmings Chronicles, sadly, did not work on our Windows 95 machine, and I had to leave my charges tantalizingly close to freedom. Lemmings 3D (3D Lemmings in non-American territories) was slightly friendlier to newer computers, though not by much. I bought the game, but did not find it very absorbing. While this new offering quite literally added a new dimension to gameplay, I found the focus on camera management distracting. 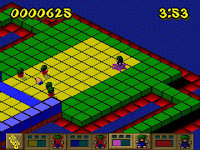 I'm sure that many people enjoyed the title, but it seemed to me that the game was better when it was in simple 2-D. Also, the fact that the lemmings skill set had reverted to the original eight skills (plus a new turner, who redirected lemmings by ninety degrees) was a turn-off to me, as I had really come to know lemmings through the 61 skills of Lemmings 2. Furthermore, the rich story that had developed through Lemmings 2 and Lemmings Chronicles had been completely abandoned. I loved the universe that had come to surround the Lemmings world (remember the storybook?) and was sad to see it abandoned. Lemmings 3D sticks in my mind not for the gameplay itself, but for a bizarre cheat code. I guess the programmers became irritated with saving lemmings at some point, because they put in a code that could be typed into the game during play: "rasputin". Typing in that word would turn the cursor into a crosshairs, and now clicking on a lemming would kill it messily, complete with shotgun sound effect. Tasteless, but good for a cheap thrill, and something that I always happily showed off to my lemming-literate friends. It seems that shooting was becoming increasingly popular with the publishers, since the next title, Lemmings Paintball, involved little more than paint-filled gunfire. Sporting an isometric viewpoint, the game involved few puzzles, focusing instead on riding platforms, shooting lemmings, and capturing flags. 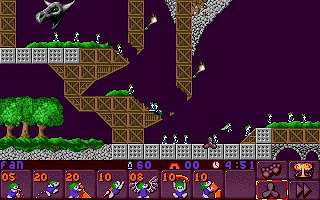 Past the title screen, the game didn't feel like a Lemmings game at all—the little green-haired characters could have just as easily been replaced by rabbits or people or little ducks. I found the controls unwieldy and soon abandoned the title. I do not regret buying Lemmings Paintball, however: it came packed with a wonderful bonus: Lemmings and Oh No! More Lemmings for Windows 95. I finally had the chance to play the original titles! Though I had been reared on the variety of Lemmings 2, I quickly came to appreciate just how fiendish puzzles could be when built around eight simple skills. My progress through the game, however, was continually frustrated by the title's unwillingness to cooperate with my various computers. For the most part, bugs were limited to sound and music not working properly, but the irritation that those errors caused me compounded the difficulty of the game, and I always found it hard to keep moving. At around the same time, I got Lemmings for the Nintendo Game Boy. 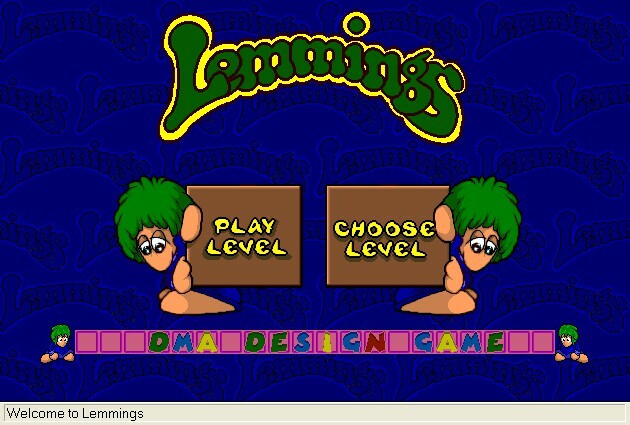 It was great to have the freedom to play Lemmings on the go, but... well, it had been difficult enough to give commands to lemmings on a color computer screen with a mouse! Now I had a miniscule grayscale LCD display and a control pad. I actually did quite well for myself, considering the circumstances, and I enjoyed the game quite a bit, though I never made it very far. One game that I did play quite a bit of, however, was the PC demo of Adventures of Lomax, a lemming-themed platforming title. 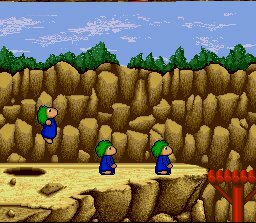 As with Lemmings Paintball, the game had little in common with Lemmings, and featured a medieval lemming using a magic cap to fight off an aggressor known as Evil Ed. Lemming skills did make occasional appearances, however, which is more than could be said for Lemmings Paintball. The game was colorful, fun, and extremely well-animated. I played it mostly as a diversion, but I enjoyed it nonetheless. Eventually, in 2000, Psygnosis released another Lemmings title: Lemmings Revolution. The game used hardware acceleration that frustrated my poor ancient Compaq computer, but it still worked—usually. Under more modern computers, however, colors quickly became corrupted, which I found to be a huge irritation. In the end, the game seemed to me to be little more than the original Lemmings wrapped around a cylinder, and so I found little incentive to leap through technical hurdles in order to play that particular title. So, why all the obsession with Lemmings, if I spent so little time playing most of the games? Well, for one, brilliant titles like the first three Lemmings games (particularly the original Lemmings) deserve notice and admiration. Also, the little characters and the story surrounding them for those first several titles was engaging and endearing. 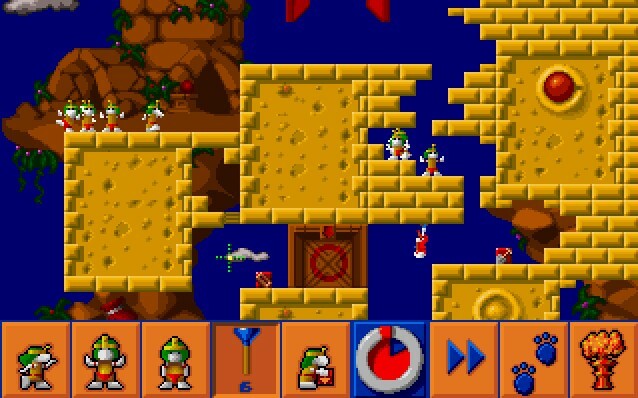 Where Lemmings really became a boon for me, however, was in my imagination. 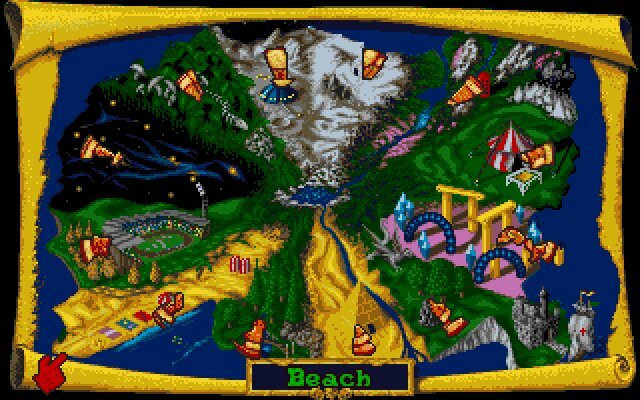 A lot of the time that I spent playing Lemmings was spent away from a computer. Having ADHD means a lot of things, but two things in particular that come of the disorder are an exceptionally active imagination and a distinct lack of patience. I dislike waiting now, but when I was younger, being put in a situation where I had to wait quietly was excruciating. My savior was my imagination. Under the right circumstances, I could become lost in my own world and time would pass very quickly. This was, however, easiest for me to accomplish if I had freedom to move about or if I had paper to draw on. Without either of those, I was in trouble. One day, however, while waiting for my mother after church, I found myself staring up into the rafters, as I had often done as a little child. This time, however, a strange thought occurred to me. What if, I thought, picking a spot near one wall, lemmings came in here, and had to get out over there? Suddenly, a new game was born. I spent so much time working out a solution for the quandary I had placed my imaginary lemmings into, and then playing that solution in my mind (I needed more blockers than I had anticipated, and found that the lemmings hit their head in one place where I had thought they'd be able to build) that an entire hour passed without my noticing. Lemmings fans, try it sometime when you have to be patient for a while. Pick two places within your field of vision, one for the lemmings to come in from and one for them to get out of, decide on a scale, and then work out a way to get a tide of lemmings from point A to point B with only the original eight skills. I'm confident that you'll find it quite engrossing. Remember too, by the way, that lemmings cannot burrow through metal. If you feel like it, you could even bend the rules a bit and decide that the environment might not be rigid and unmoving—something might happen if too many lemmings attempt to climb that bell pull, for example. This game became a favorite mental exercise for me when I had to sit still and wait for long periods of time, and I still play it on occasion. 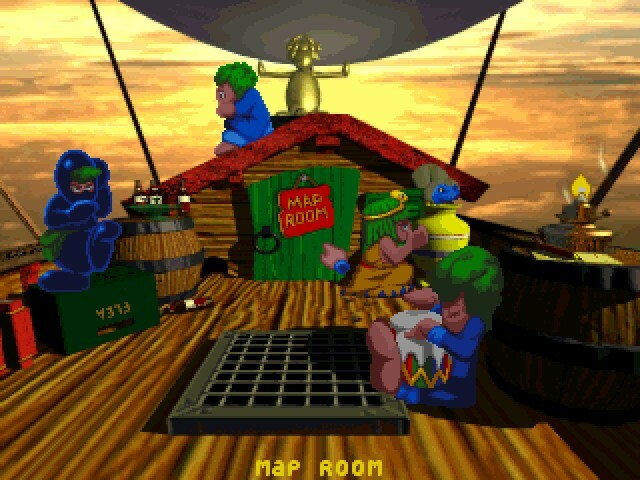 Waiting rooms, theaters before the show started, airport terminals, train stations, bus stops—all were particularly good locales for lemmings expeditions. Car rides, however, don't work as well: the rushing guardrails that speed by outside the window are much more suitable for one of Sonic's speed. 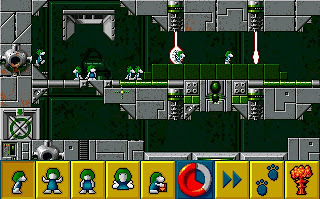 Years went by, and while Lemmings continued to play in my mind, the series seemed to be all but forgotten by publishers. In Japan, I found that Lemmings was similarly little-known, though it had once been very popular. I got 3D Lemmings for the Playstation and Lemmings for the SNES, but had little motivation to play the former and little time to play the latter. I also acquired the Lemmings strategy guide, written for the Japanese SNES version, which was a very fun read. A good friend of mine during my last year and a half in Japan, a fellow teacher, talked occasionally of Lemmings, as he had a demo of the newest installment on his Playstation 3. His dream was to see a Lemmings title on the Nintendo Wii or the Nintendo DS. Pointer controls or touch screen controls would be perfect for a Lemmings title, he said, and I could only agree. However, I soon realized that there was little hope for such a release. Psygnosis, publisher of the first several Lemmings games, was acquired by Sony in 1993, and now the entire Lemmings franchise belongs to Sony Comptuer Entertainment Europe. Will a pointer-friendly Lemmings title ever appear again? I don't know, but I'm hopeful. And so, here I am back in the US, still playing Lemmings. Amazon's extended reach recently allowed me to get the original Lemmings Compendium, which is full of information, and the two UK-published Lemmings Adventure Gamebooks, which are fun stories and are packed with illustrations. The Windows 95 version of Lemmings finally agrees with my system, putting Lemmings and Oh No! More Lemmings at my fingertips. Best of all, with the magic of DosBox and a little technical tweaking, I can once again play Lemmings 2: The Tribes and Lemmings Chronicles. Perhaps now, 20 years after Lemmings was published, I will finally be able to lead my little green-haired friends to freedom. A moment of silence for the tragic heroes of Lemmings: those little guys who block paths, only to be blown up when their purpose is finished. It was a blast reading this article, we need more love for Lemmings!